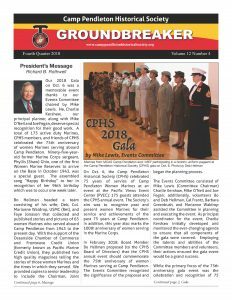 The Camp Pendleton Historical Society publishes a quarterly newsletter, Groundbreaker, which is available on the CPHS Newsletter tab. We also maintain an archive of Groundbreaker newsletters and published articles. The cannon refurbishment project is complete! Thanks to the diligent efforts of CPHS Board Member, Mike Lewis, for initiating and coordinating this project with Ordnance Maintenance Company, 1st Marine Logistics Group at Camp Pendleton. 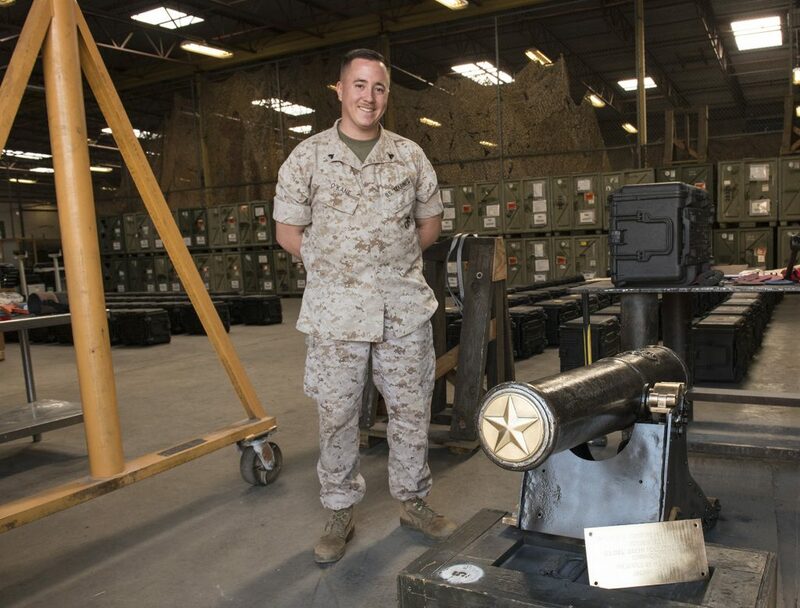 There’s a great video of Corporal Shawn O’Kane, USMC on the CPHS Facebook page (link below) who led the refurbishing efforts of General Pendleton’s cannon which was located in Cannon Court, Santa Margarita Ranch House aboard Marine Corps Base Camp Pendleton. Check out the video! Corporal Shawn O’Kane, USMC, standing next to General Pendleton’s cannon. Copyright © 2019 Camp Pendleton Historical Society.